« Garden CD on Sale Today! 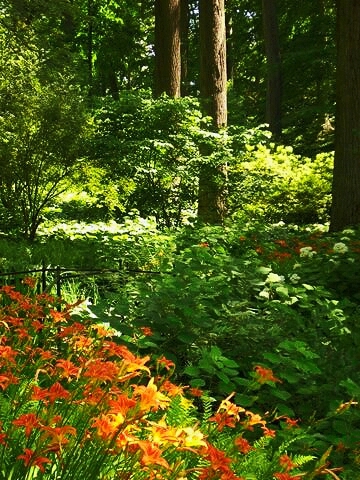 Trying to beat the coming thunderstorm, I took an early afternoon stroll through part of the Winterthur Garden today. What fun on a low-humidity late-spring day! a new color scheme in the containers around the reflecting pool – magenta, white, yellow and blue – stunning! 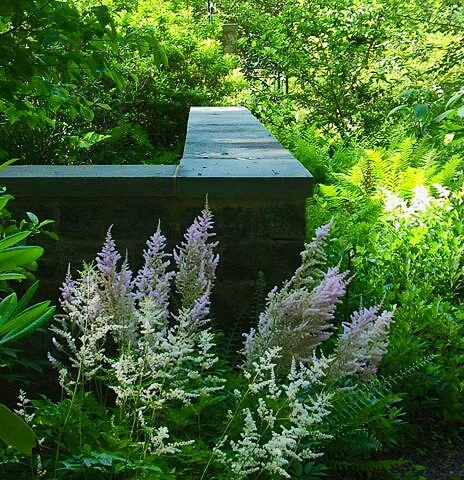 With all that beauty, it’s easy to ignore a major project underway in the garden this summer. After years of hard use, many of the pathways are being restored with either new macadam or wood mulch. The work will correct erosion problems and the many ankle-turning patches and holes. The red tipple stone paths are on their way out in favor of materials that are more in keeping with the beauty and history of the garden. Some of the pathways will be closed this summer, so please bear with us as you enjoy the winding paths through this paradise garden. Last evening, my wife and I, together with our neice, brought a picnic supper on the grounds–we headed for Sycamore Hill. It was probably one of the most magical moments we’ve experienced. The vistas were commanding yet the setting was intimate and private. We walked to the Quarry and to Oak Hill and back through the meadow via the newly mown path. Thank you garden staff for creating and maintaining such an exquisite garden.